Catherine Chandler’s poetry, translations and essays have been published in numerous journals and anthologies in North America, the U.K. and Australia. Winner of the Howard Nemerov Sonnet Award, she is the author of Lines of Flight (Able Muse Press, 2011), a collection of sonnets, This Sweet Order (White Violet Press, 2012) and two chapbooks. 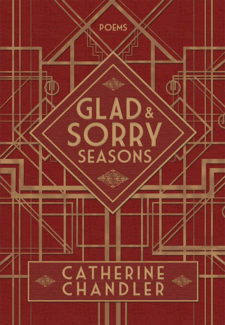 Glad and Sorry Seasons is her second full-length collection. Recently retired from McGill University where she lectured in the Department of Translation Studies, Catherine resides in Saint-Lazare, Quebec.